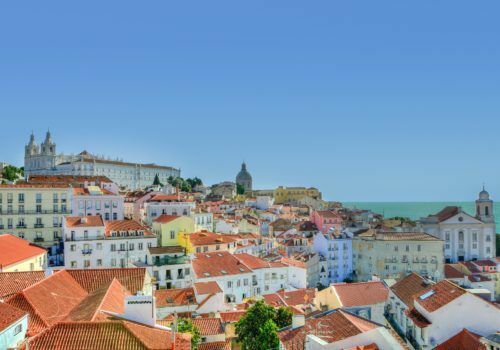 This luxury itinerary will show you the highlights of Portugal, a small country that’s very much on the rise. 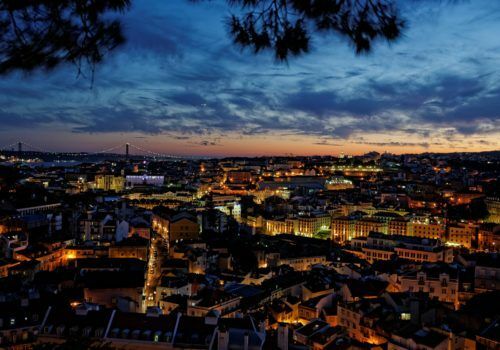 You’ll be exploring the wine caves of Porto, the trendiest districts of Lisbon and eating a lot of Mediterranean food. Fulfil your inner history buff with a trip to a Moorish castle and visit an ancient stone circle. 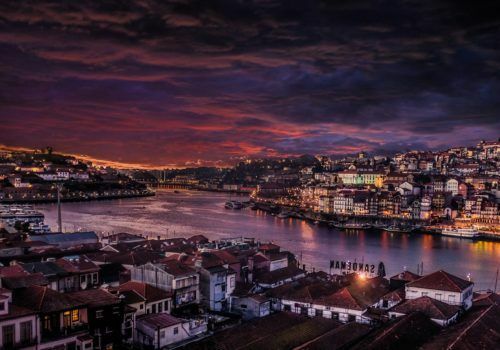 You’ll explore one of the world’s oldest wine regions, the Douro Valley, and visit the birthplace of Portugal’s first King. The coastal city of Sintra is also a must see. 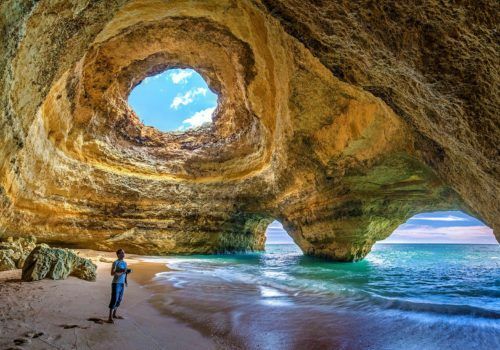 Your adventure will wind down with a relaxing stay on the Algarve Coast. When you arrive at the airport your driver will meet you and transfer you to your hotel. Today you’ll set out on a tour of Porto exploring its old town, the Neoclassical Palacio da Bolsa and the wine bars. 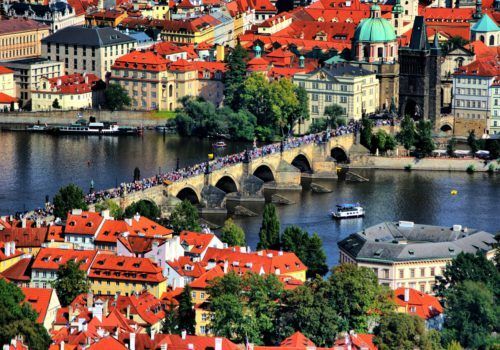 In the afternoon you’ll set out on a cruise down the Douro River. Later, you can explore Porto’s famous wine caves. Today you’ll explore the best wine region of the Douro Valley and also visit Guimarães, a UNESCO World Heritage Centre associated with the birth of Portugal. It was, after all, the birthplace of Portugal’s first King. Exploring Guimarães, it can feel like your stepping back in time to the Medieval period. Overnight in the Duoro Valley. Today you’ll tour some of the best wineries of the Douro Valley. You’ll then take a cruise down the Douro River and have lunch at another winery. More wineries await, so you may wish to go full throttle Eddy and Patsy. Today you’ll take a day trip to Sintra, a popular resort town not far from Lisbon. You can head into the hills and visit the Castle of the Moors. You’ll also find yourself strolling through Arabesque courtyards, and also the elegant Pena Palace. 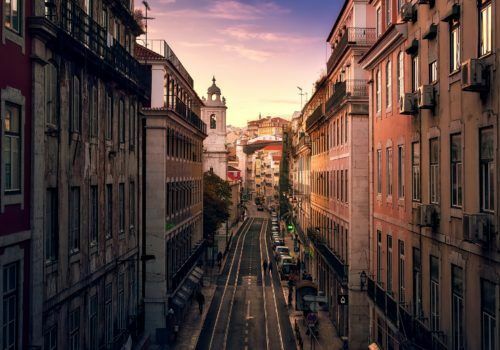 Today you’ll transfer to Lisbon and check into your hotel. Take a tram to Belém. Here you can explore Europe’s biggest plaza, the Jardim da Praça do Império, taste some classic Portuguese pastires at Pasteis de Belém, and also learn about the Age of Exploration at Museu Nacional de Arqueologia. This morning you’ll head north to Estremadura. At Batalha, you’ll visit the Tomb of the Unknown Soldier, the Gothic Batalha Monastery and, supposing you’re feeling adventurous, you can explore the Grutas da Moeda caves underground. 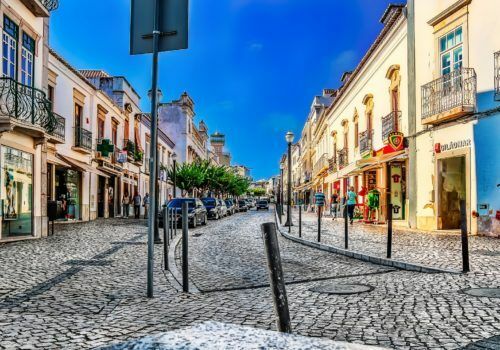 You’ll be heading east to Alentejo. Here you’ll visit the megalithic stone complex, Cromeleque dos Almendres. This ancient stone circle dates back to 6000 BC. 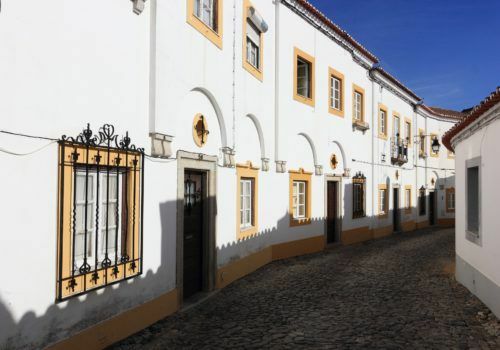 When you’ve explored the site you’ll check into your hotel in Évora. 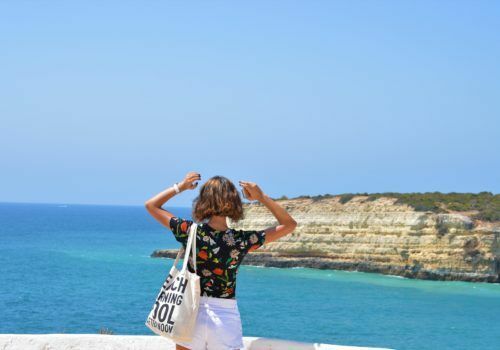 Today you’ll continue you’ll head to the Algarve coast and check into your new hotel. Evening at leisure. After breakfast you’ll head to the market with a local chef, buy some ingredients and then head to a cookery class. With some new Portuguese recipes under your belt, you’ll return to your hotel. 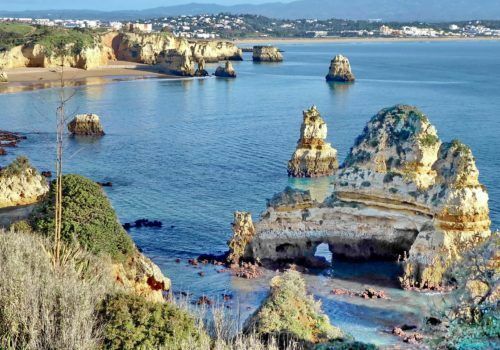 You’ll be avoiding the tourist trail and exploring the less well known – but more authentic – stretches of the Algarve coast. Try some of the grilled fish associated with this area, and also the sparkling green wine (vinho verde).